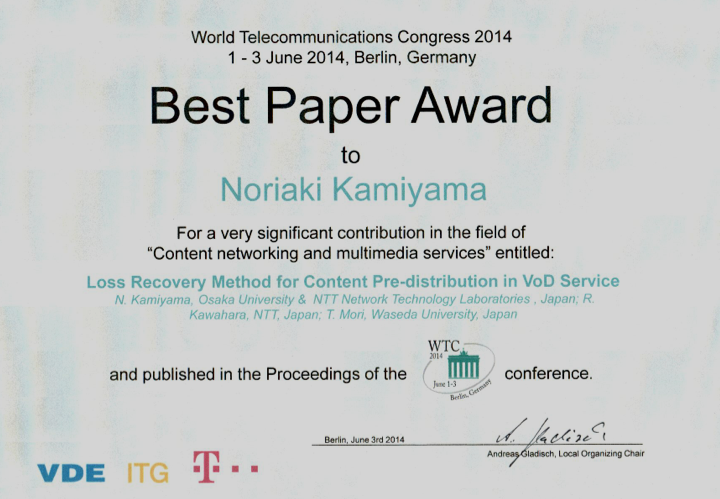 Kamiyama-san’s paper, which Mori coauthored, won the best paper award at World Telecommunication Congress 2014 held in Berlin, Germany. Congrats Kamiyama-san! “Loss Recovery Method for Content Pre-distribution in VoD Service”.